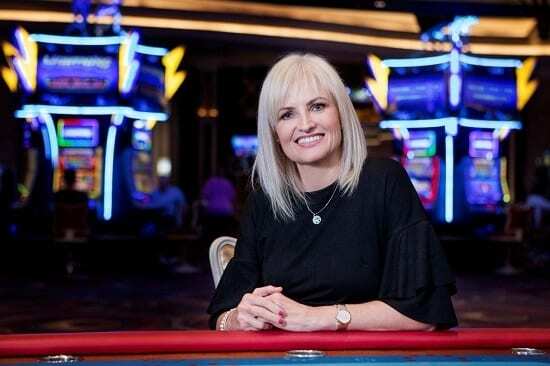 Almost two decades after her foray into the casino industry as an accountant, Anneke Potgieter has made the number one entertainment destination on West Rand her home as she steps into the role as Director of Operations and Complex General Manager at Silverstar. This determined and focused woman – who is also a mother of two – has been a part of the Tsogo Sun staff for almost two decades having started her long service with the group as an accountant when what was then Champions Casino opened (now The Ridge Casino). She moved swiftly up the ranks and her CV boasts positions at many Tsogo Sun properties including: Financial Manager at Hemingways and Suncoast, where she was also promoted to Operations & Financial Manager. In November of 2015 Anneke moved back to Hemingways Casino in East London as Director of Operations and Complex General Manager. Just short of two years later the opportunity to head up the team at Silverstar came along. Anneke’ decision to grab the opportunity with both hands was an easy one and she is delighted to enjoy the sunshine on the Highveld after 16 years of coastal weather, while she brings her vision for Silverstar to life. Although it was an adjustment going from managing numbers to managing people, Anneke believes that numbers tell you a story about the business but it is important to look at the human behaviour which influences the numbers. This methodology ensures a holistic approach to business which is not weighted towards one or the other but paints a realistic picture of the areas in which your business is excelling and failing. Anneke’s philosophy in the workplace is fair and in some ways unique: “I don’t believe in people working in silos – whether you are management or a cleaner, it’s ‘our’ business and we run it together. A very good friend once offered me the following advice: Always apply good judgement, common sense and integrity.” So far this advice has worked for her as is evidenced by her stellar career. Although it is quite unusual for a woman to head up complex operations in the casino industry, Anneke feels it has been beneficial as she is by nature a nurturing leader who gives direction and builds confidence in her staff. Anneke has consistently practiced a particular philosophy throughout her career journey at Tsogo Sun: be the best at what you are doing and trust that you will be recognised. Her growth from Accountant to Director of Operations and Complex General Manager is proof of that. What might someone be surprised to know about you: I am a grandmother and just love it, it is an incredibly special privilege. What do you do for fun: This is a hard question because I love my job and it’s so much fun but I do go to gym and I love spending time with my family. In many ways my job is essentially my hobby as work takes up so much of my time. But when I do have down time, I will read. Follow Silverstar on Twitter @SilverstarZA or keep up to date with our news on Facebook @SilverstarZA #LoveSilverstar.